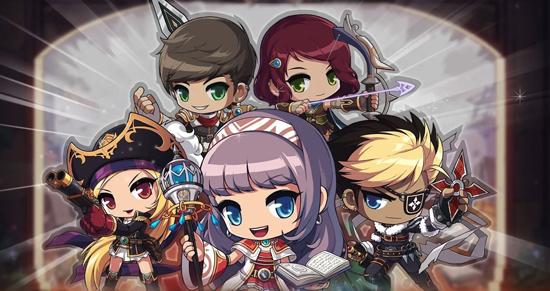 MapleStory M, the side-scrolling adventure mobile game for iOS and Android, reached three million downloads within one week after its global launch. In the Apple App Store, MapleStory M has reached No1 in highest grossing games in five countries including Malaysia, Singapore and Taiwan making it a top 10 game in 11 countries. The mobile game has achieved top gross rankings in the Google Play Store across multiple countries as well, including No1 in Singapore, No2 in Taiwan, No4 in Malaysia and No6 in Thailand. In the U.S., the game has reached No45 in highest grossing games and No3 in top RPG’s in the Apple App Store. The game is also No46 in highest grossing games and No3 in top RPG’s in the Google Play Store. To celebrate the three million downloads, MapleStory M will host a special in-game giveaway event starting today, July 31 at 19:00 pm PT until August 10 at 23:59 pm PT. Maplers who login during this period will receive rewards including 10 Orange EXP Increase Tickets (15 MINS), 300 MP Potions v4.0 and 300 HP Potions v4.0.